A 3 bed house on 6 month short term let only at a much reduced rent as building works to construct an attached property will commence and continue through the duration of the tenancy. Front & rear gardens. A three bedroom terrace property in the sought after village location of Godshill which is one of the most picturesque villages on the Isle of Wight. Surrounded by outstanding countryside, it is an ideal location for long walks and the village centre offers a comprehensive range of amenities including restaurants, pubs and a range of boutique shops and a village primary school for those with a young family. Being on a main bus route, the seaside towns of Shanklin and Ventnor are easily accessible giving you the best of both worlds. 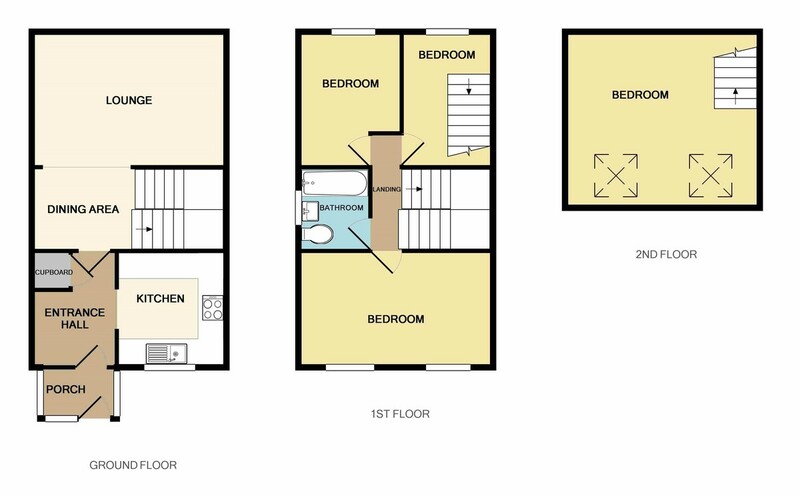 The property offers a porch, kitchen, dining area and lounge on the ground floor, three bedrooms and a bathroom on the first floor and an attic room accessed off bedroom 3. NB: The property is offered on a 6 month only short term let at a much reduced rent because building works to construct an attached property will commence and continue through the duration of the tenancy. This will cause some noise and disruption during working hours. Some shared electricity and water usage will also be required from the tenanted property. These costs will be reimbursed by the landlord via an agreed allowance to the tenants during the building works. "Please note that the landlord of the property is a limited company owned and controlled by the Directors of IOW Residential Limited trading as Trigg & Co and is therefore a connected party".